Wilford C La Rock, D.C.
Wilford C La Rock, D.C., is a chiropractor located in El Paso, TX. Take the next step and contact Dr. Wilford C La Rock, D.C., for a consultation in El Paso, TX or to get more information. Daniel Lerma, D.C., is a chiropractor located in El Paso, TX. Take the next step and contact Dr. Daniel Lerma, D.C., for a consultation in El Paso, TX or to get more information. Jeffrey R Pinson, D.C., is a chiropractor located in El Paso, TX. Techniques: • Diversified • Applied Kinesiology • Activator Methods Take the next step and contact Dr. Jeffrey R Pinson, D.C., for a consultation in El Paso, TX or to get more information. Stephen W Untersee, D.C., is a chiropractor located in El Paso, TX. Techniques: • Diversified • Activator Methods • Neuro Muscular Technique • Pierce Stillwagon Technique • Traction • Travell Soft Tissue Take the next step and contact Dr. Stephen W Untersee, D.C., for a consultation in El Paso, TX or to get more information. David A Sime, D.C., is a chiropractor located in El Paso, TX. Techniques: • Activator Methods • Diversified • Gonstead • Thompson • Toggle Recoil Take the next step and contact Dr. David A Sime, D.C., for a consultation in El Paso, TX or to get more information. William Leff, D.C., is a chiropractor located in El Paso, TX. Techniques: • Logan Basic • Diversified • Cranial Take the next step and contact Dr. William Leff, D.C., for a consultation in El Paso, TX or to get more information. Manuel Moreno, D.C., is a chiropractor located in El Paso, TX. Techniques: • Diversified • Logan Basic Take the next step and contact Dr. Manuel Moreno, D.C., for a consultation in El Paso, TX or to get more information. Larry D Jones, D.C., is a chiropractor located in El Paso, TX. Techniques: • Applied Spinal Biomechanics Engineering Take the next step and contact Dr. Larry D Jones, D.C., for a consultation in El Paso, TX or to get more information. George R Cornali, D.C., is a chiropractor located in El Paso, TX. Take the next step and contact Dr. George R Cornali, D.C., for a consultation in El Paso, TX or to get more information. Truman Davidson, D.C., is a chiropractor located in El Paso, TX. Take the next step and contact Dr. Truman Davidson, D.C., for a consultation in El Paso, TX or to get more information. Joseph F Wilson, D.C., is a chiropractor located in El Paso, TX. Techniques: • Diversified Take the next step and contact Dr. Joseph F Wilson, D.C., for a consultation in El Paso, TX or to get more information. Carlos Manuel Gonzalez Jr, D.C.
Sherman Davidson, D.C., is a chiropractor located in El Paso, TX. Take the next step and contact Dr. Sherman Davidson, D.C., for a consultation in El Paso, TX or to get more information. Michael A Ontiveros, D.C., is a chiropractor located in El Paso, TX. Take the next step and contact Dr. Michael A Ontiveros, D.C., for a consultation in El Paso, TX or to get more information. Nick Talarico, D.C., is a chiropractor located in El Paso, TX. Techniques: • Palmer Package Take the next step and contact Dr. Nick Talarico, D.C., for a consultation in El Paso, TX or to get more information. Joshua D Brandon, D.C., is a chiropractor located in El Paso, TX. Techniques: • Diversified • Activator Methods • Manual Adjusting • Motion Analysis (Palpation) • Trigger Point Therapy • Travell Soft Tissue Take the next step and contact Dr. Joshua D Brandon, D.C., for a consultation in El Paso, TX or to get more information. Paul Rodriguez, D.C., is a chiropractor located in El Paso, TX. Take the next step and contact Dr. Paul Rodriguez, D.C., for a consultation in El Paso, TX or to get more information. Terri French, D.C., is a chiropractor located in El Paso, TX. Take the next step and contact Dr. Terri French, D.C., for a consultation in El Paso, TX or to get more information. Thomas J Georges, D.C., is a chiropractor located in El Paso, TX. Techniques: • Diversified • Thompson • Flexion-Distraction • Manual Adjusting Take the next step and contact Dr. Thomas J Georges, D.C., for a consultation in El Paso, TX or to get more information. Carlos Rodriguez, D.C., is a chiropractor located in El Paso, TX. Take the next step and contact Dr. Carlos Rodriguez, D.C., for a consultation in El Paso, TX or to get more information. Kathryn K Keith, D.C., is a chiropractor located in El Paso, TX. Techniques: • Chiropractic Biophysics • Gonstead • Sacro Occipital Technique Take the next step and contact Dr. Kathryn K Keith, D.C., for a consultation in El Paso, TX or to get more information. Jeffrey S Weislow D.C., D.C.
Carlos Gonzalez, D.C., is a chiropractor located in El Paso, TX. Techniques: • Thompson • Leander • Diversified • Sacro Occipital Technique Take the next step and contact Dr. Carlos Gonzalez, D.C., for a consultation in El Paso, TX or to get more information. Oliver R Smith Jr, D.C.
Oliver R Smith Jr, D.C., is a chiropractor located in El Paso, TX. Techniques: • Meric Take the next step and contact Dr. Oliver R Smith Jr, D.C., for a consultation in El Paso, TX or to get more information. Valerie G Monteiro, D.C., is a chiropractor located in El Paso, TX. Techniques: • Diversified • Nimmo • Chiropractic Biophysics Take the next step and contact Dr. Valerie G Monteiro, D.C., for a consultation in El Paso, TX or to get more information. Cary Deiter, D.C., is a chiropractor located in El Paso, TX. Take the next step and contact Dr. Cary Deiter, D.C., for a consultation in El Paso, TX or to get more information. Elizabeth Garcia, D.C., is a chiropractor located in El Paso, TX. Techniques: • Diversified • Manual Adjusting • Activator Methods • Leander Take the next step and contact Dr. Elizabeth Garcia, D.C., for a consultation in El Paso, TX or to get more information. Fred Aguayo, D.C., is a chiropractor located in El Paso, TX. Take the next step and contact Dr. Fred Aguayo, D.C., for a consultation in El Paso, TX or to get more information. Robert C Morgan, D.C., is a chiropractor located in El Paso, TX. Take the next step and contact Dr. Robert C Morgan, D.C., for a consultation in El Paso, TX or to get more information. C M Gonzalez, D.C., is a chiropractor located in El Paso, TX. Take the next step and contact Dr. C M Gonzalez, D.C., for a consultation in El Paso, TX or to get more information. Nick Talarico, D.C., is a chiropractor located in El Paso, TX. Take the next step and contact Dr. Nick Talarico, D.C., for a consultation in El Paso, TX or to get more information. John W Merrell, D.C., is a chiropractor located in El Paso, TX. Take the next step and contact Dr. John W Merrell, D.C., for a consultation in El Paso, TX or to get more information. Patricia Miller, D.C., is a chiropractor located in El Paso, TX. Take the next step and contact Dr. Patricia Miller, D.C., for a consultation in El Paso, TX or to get more information. Justin Benedict, D.C., is a chiropractor located in El Paso, TX. Take the next step and contact Dr. Justin Benedict, D.C., for a consultation in El Paso, TX or to get more information. Phillip C Ollis, D.C., is a chiropractor located in El Paso, TX. Techniques: • Activator Methods Take the next step and contact Dr. Phillip C Ollis, D.C., for a consultation in El Paso, TX or to get more information. Edward C Coupland, D.C., is a chiropractor located in El Paso, TX. Take the next step and contact Dr. Edward C Coupland, D.C., for a consultation in El Paso, TX or to get more information. Tariq Ahmed, D.C., is a chiropractor located in El Paso, TX. Techniques: • Diversified • Flexion-Distraction • Activator Methods Take the next step and contact Dr. Tariq Ahmed, D.C., for a consultation in El Paso, TX or to get more information. Anna J Allen, D.C., is a chiropractor located in El Paso, TX. Take the next step and contact Dr. Anna J Allen, D.C., for a consultation in El Paso, TX or to get more information. Robert C Morgan, D.C., is a chiropractor located in El Paso, TX. Techniques: • Thompson • Activator Methods • Diversified Take the next step and contact Dr. Robert C Morgan, D.C., for a consultation in El Paso, TX or to get more information. Carlos Manuel Gonzalez, D.C., is a chiropractor located in El Paso, TX. Take the next step and contact Dr. Carlos Manuel Gonzalez, D.C., for a consultation in El Paso, TX or to get more information. Mata S A Fiama, D.C.
Mata S A Fiama, D.C., is a chiropractor located in El Paso, TX. Take the next step and contact Dr. Mata S A Fiama, D.C., for a consultation in El Paso, TX or to get more information. Chris S Campbell, D.C., is a chiropractor located in El Paso, TX. Techniques: • Diversified • Activator Methods • Thompson • Bio-Energetic Synchronization Technique • Gonstead Take the next step and contact Dr. Chris S Campbell, D.C., for a consultation in El Paso, TX or to get more information. Daniel C Luban, D.C., is a chiropractor located in El Paso, IL. Techniques: • Grostic • Sacro Occipital Technique • Total Body Modification • Activator Methods • Toggle Recoil Take the next step and contact Dr. Daniel C Luban, D.C., for a consultation in El Paso, IL or to get more information. Marius Ruja, D.C., is a chiropractor located in El Paso, TX. Take the next step and contact Dr. Marius Ruja, D.C., for a consultation in El Paso, TX or to get more information. 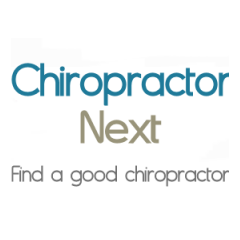 Glenn W Payton, D.C., is a chiropractor located in El Paso, IL. Techniques: • Palmer Package • Pierce • Activator Methods Take the next step and contact Dr. Glenn W Payton, D.C., for a consultation in El Paso, IL or to get more information.